Starting to dabble into going green can be quite a fascinating adventure. You discover there are plenty of ways that you can make your life greener – down to the soap you use. If you’ve been doing the least bit of green research, you surely encountered castile soap once or twice. What is it and how can it help you become more eco-friendly? Castile soap is not a brand but a type of soap. Think tissues, not Kleenex. It is made exclusively from vegetable oil (or other oils), doing away with any animal fat or synthetic substances that usually go into making commercial soap. It’s also a true soap instead of a chemical detergent. As a result, castile soap is completely biodegradable and extremely earth-friendly. In truth, castile soaps can sometimes feature some additional synthetic ingredients. However, if it’s marketed under the name of castile soap, you’ll find that it’s a fairly natural product. 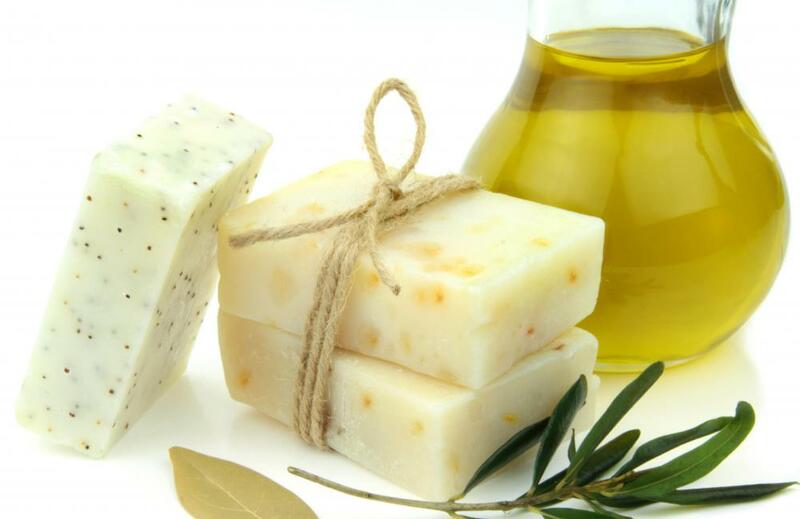 According to purists, castile soap should be made exclusively from olive oil but there’s a wide variety of castile soaps based on coconut or jojoba oil. Thanks to the pure nature of the soap, this product has a lesser environmental impact. It has a reduced waste stream contribution during manufacture while also protecting nature through faster biodegradability. We all know that soap is good for washing your hands but castile soap has a lot more uses. Its versatility has made it the seafarer’s soap in the green community. If you buy castile soap that comes in paper based boxes, you also save on packaging. And we need all the help we can get when it comes to reducing the amount of packaging that ends up in landfills. You can use an olive oil based castile soap as shampoo. Not only does it work great, but it also makes the conditioner redundant. It saves you the hassle of going through the dozens of shampoo brands out there, trying to understand all the chemicals in their products. If you’ve ever tried washing your hair with normal soap, you probably found your hair very dry afterwards. Thanks to the natural ingredients in the castile soap, the experience of washing your hair is completely different. It is likely because it contains glycerin, unlike normal soap brands which remove much of the glycerin and sell it separately in moisturizers. Not to mention that castile soap is far cheaper than other fancy label soaps and shampoos! But there are many ways to incorporate this cheap, eco-friendly ingredient into your daily life. Some of the ideas in the list below are for beginners (“hippie-lite”) while others might sound a bit far-fetched. However, whether you simply use castile soap as an all-purpose household cleaner or as an alternative for anything chemical, you’re free to pick and choose as you please! Don’t forget: Each of the recipes below can be improved by adding various essential oil herbal infusions of your liking. Feel free to diversify and customize your castile soaping experience. Orange blossom works great for tile floor cleaner, while peppermint makes your dishes sparkle. The combinations are endless so just experiment! Shampoo – As we already mentioned, castile soap can be a great stand-in for a harsh detergent-based shampoo. There’s nothing better to give your hair a break! One of the easiest recipes, all you have to do is mix castile soap with water at a ratio of 1:3. Same recipe works wonders as a dog shampoo! Laundry Detergent – Make your own laundry detergent with common ingredients – castile soap, washing soda, borax, and any aroma of essential oil. It will help you save tons of money while you also do the environment a favor. The castile soap laundry detergent is a win-win solution! Tub Scrub – Put the chemical detergent away and use baking soda and castile soap as a soft scrub of tiles or toilet. Fill a spray bottle with a dilution of 1:3 castile to water. Sprinkle the area you clean with a thick dusting of baking soda, spray the castile solution on top and scour with a sponge to make the stains disappear. This solution also cleans crusty stovetops. Dish Soap – Make a dishwashing soap by mixing a 1:1 ratio of castile to water. Add optional essential oils. This homemade dish soap works just like a commercial product. It creates a solid lather, cleans perfectly and rinses away without any residue. Body Wash – Castile soap is a gentle yet efficient body wash. While you can simply buy a castile bar soap, you can also just dilute the liquid soap in a 2:1 ratio of castile to water. Mix in essential oils for your preferred smell. Carpet Cleaner – For an efficient carpet cleaner, mix 1/4 cup castile into 1 cup water. Pour the solution in a blender and let it mix until it forms stiff foam. Use it as any other carpet cleaning product. Foaming Hand Wash – Liquid castile soap can be used straight out of the bottle for hands, face and body wash. However, other recipes out there add something to the mix to make your bottle of soap last longer. One way to go is adding two tablespoons of castile soap, water, essential oils and sweet almond oil for a delicious smell. Toothpaste – Even though it’s more like a tooth soap and not a toothpaste, castile soap is a great alternative to the nasty chemicals they put in most commercial products. Just add a few drops on your wet brush and enjoy the refreshing and effective result. An easy recipe is mixing peppermint liquid castile soap, Stevia, melted coconut oil, and essential oils of your choice. Mopping Solution – Dissolve 2 or 3 tablespoons of castile soap in a bucket full of water, and mop your floors till they sparkle with new luster. Is this the first time you hear about the magic of castile soap? Then you are probably already eager to put these recipes to the test. Keep in mind these are just a few of the many solutions you can use to keep your household clean and green. Therefore, do not be afraid to experiment!